From 1979 to 2014, the UC Berkeley Foundation (UCBF) oversaw four awards that recognized outstanding volunteers for their philanthropic efforts across campus. 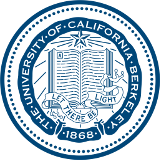 The UCBF awards have since been re-imagined through a collaboration with the Cal Alumni Association and can be found as the Achievement and Volunteer Awards on awards.berkeley.edu. Below are the descriptions and past recipients of the original awards. The Chancellor’s Award, the foundation’s most prestigious award, honored an alumnus or friend who had given consistently distinguished service to numerous major fundraising efforts. The Wheeler Oak Meritorious Award honored alumni and friends whose excellent leadership contributed greatly to one or more fundraising programs. The Trustees’ Citation honored alumni and friends who demonstrated outstanding achievement in a major fundraising program, or who were shining examples of service to the university’s outreach goals. The Young Bear Award honored current students, young alumni, or friends who demonstrated outstanding fundraising achievement or outreach to the community or alumni.